I can hardly believe it, but we have owned our 2007 Toyota Yaris for 10 years now—a whole decade. That's three times longer than I'd ever owned any vehicle. And I've owned a lot of vehicles. 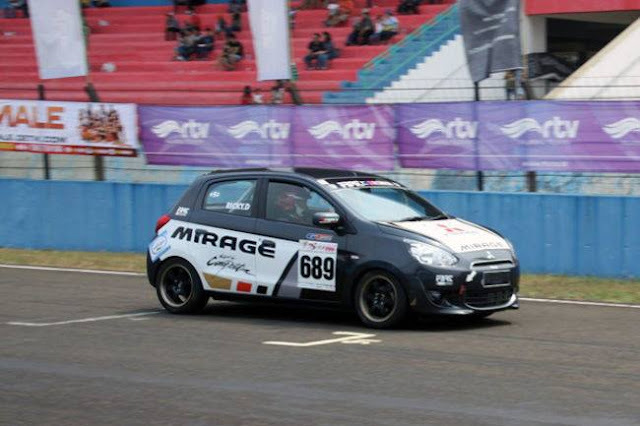 So what is it about the Yaris that has allowed it to remain in our stable for so long? First the backstory. 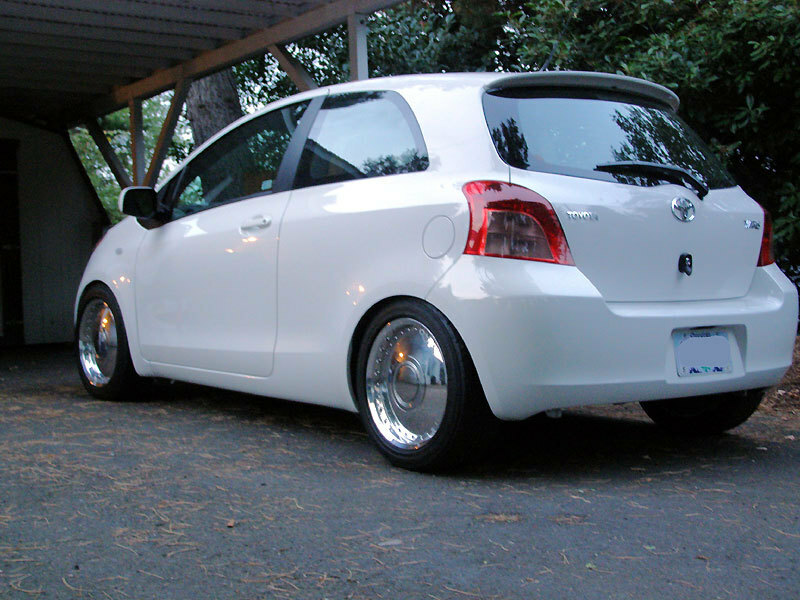 In '07, we traded in our 2005 Scion xB for the brand-new Yaris hatchback. Much like our xB, I had said for some time that if the Yaris hatchback came to the U.S., I'd buy it. Well, low-and-behold, they came. Our xB was on its third clutch in 35,000 miles (thankfully covered under warranty), and we decided to opt for the Yaris instead of risk more clutch issues. Our Polar White hatch was on the dealer lot and had pretty much everything we were looking for: power windows and locks, keyless, side airbags, ABS, and the luxury of an auxiliary jack for the stereo. Consequently, I also bought my iPod in 2007 to use with the Yaris. (FYI, I cannot even access my iPod anymore. It still works, but I can't upload to it anymore.) The price was right. We were happy. I had plans. Lowered on coilovers with Rays Texan Shotgun wheels left over from my xB. It rubbed. A lot. In all honesty, I had only planned to lower the car and put some nice wheels and tires on it. 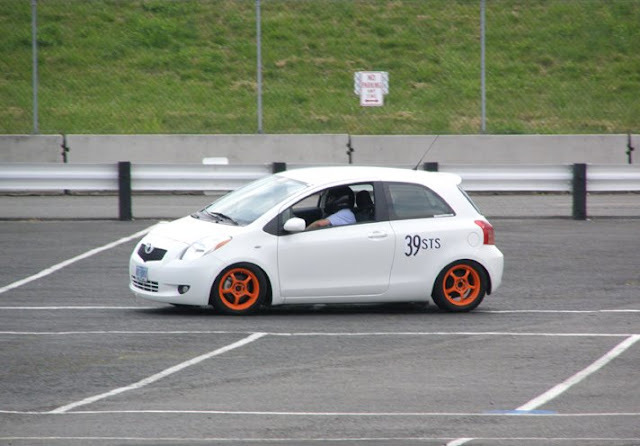 But within the first year, the subcompact hatchback was lowered on coilovers, had a TRD rear swaybar, rear hub spacers, short-shift kit, lightweight wheels and stickier tires, an axle-back exhaust system, and an air intake kit. Well so much for an unmolseted Yaris. Eventually, it ended up with an Autometer tachometer, a DC Sports header, and even a Golden Eagle intake manifold with a 1ZZ-FE throttle body from a Toyota Corolla. Full list of modifications is at the end of this post. Autocrossing at Portland International Raceway. I autocrossed it. We've road-tripped it down to Northern California and up to Vancouver, British Columbia. It's been a reliable commuter and canyon carver with very few issues and hardly any maintenance, sans oil changes. I did swap out the transmission fluid for Redline MT-90, and traded the budget coilovers for Tokico HP shocks and Tein S-tech springs. One reason we've held onto it for so long is we still love driving it. Despite owning a 265 horsepower WRX, the Yaris is still a hoot to drive. Think about the automotive adage about driving slow cars fast. It really is like driving a go-kart. It's a hoot. Plus, we've made it look the way we want, too. The orange wheels have become a necessity for us. In fact, we've had three sets of different orange rollers. It's like its trademark! 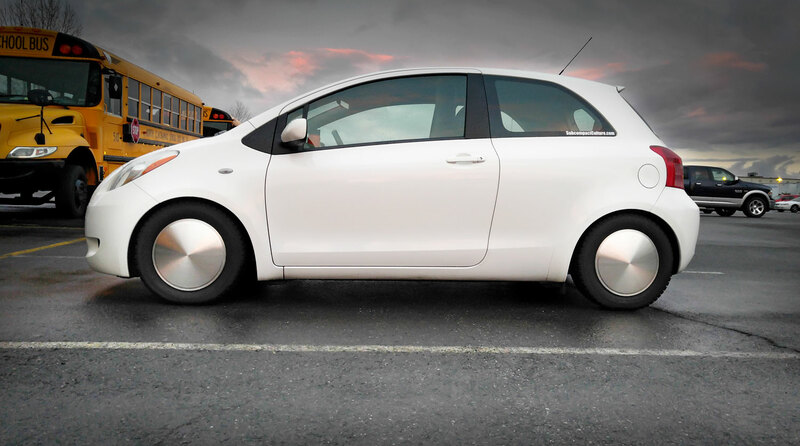 For winter, we throw on some 14" steel wheels with land-speed style hubcaps and Hankook snow tires. It goes great in snow—even lowered. However, we usually leave snow duty to our Subaru or our Jeep Cherokee. While the Yaris has remained in the driveway, we have had our "other" cars come and go: a 1998 Honda Civic, two Suzuki SX4s, a Subaru Forester, and our current Impreza WRX. But the Yaris has remained. I don't really get attached to cars, but I'd say that I'm as attached to the Yaris as I've ever been attached to any vehicle. We're currently sitting at a tick over 90,000 miles—not bad for a ten-year old car. I will replace the spark plugs in the near future, as well give it new brake fluid and a radiator flush. But the Yaris just keeps going and going, and we'll likely drive it until the wheels fall off, that is assuming that'd ever happen. But I'm a believer that people don't get rid of a Yaris because of tons of mechanical malice or scads of break-downs, but rather because they're looking to upgrade bigger or just want something new. A quick glance through craigslist will show that there aren't that many used Yaris models. I think there's a reason for that. 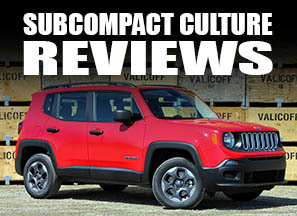 So here's to continued reliability, fuel economy, and fun. It's been a great 10 years, and we'll see what the future holds. 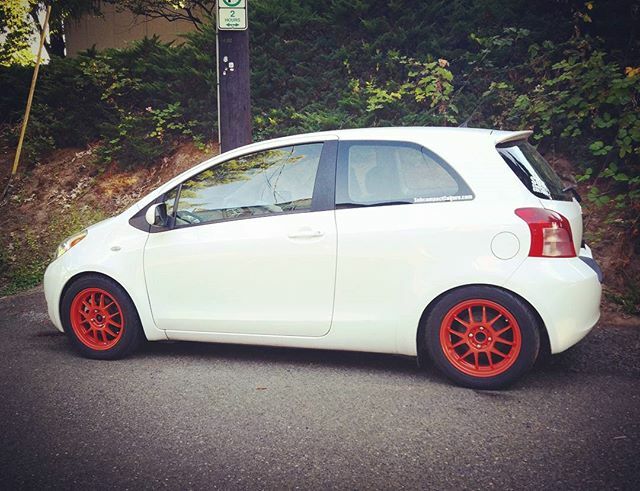 I just passed the 11 year mark with my 2007 Yaris, and will drive it until the wheels fall off. Suspension, IHE, supercharger have made the lil go-kart such a blast! I've also owned a LOT of small cars, and a year ago I bought a 2005 Echo (Yaris) 5MT with ~220k km (137k miles) to use as a winter beater. Turns out my plans changed and I ended up selling it after putting on just a few hundred kilometers. But my lasting impression is of a car that was very well put together. Not a squeak or rattle, despite some non-trivial rust (Eastern Canada) and advanced years. It felt like it had more baked-in quality than any beater I've owned. Your Yaris still inspires and looks amazing after all these years, Congrats! I love keeping up with this blog and your comments on YarisWorld! This was an awesome post! I've been looking at Yaris hatchbacks as a daily commuter so my forester XT doesn't have to take the brunt of my daily commute. Good to see I can get a car like this and still have the fun factor NOT limited by speed limits or a huge price tag. Lovely post and thanks for taking the time to do this!